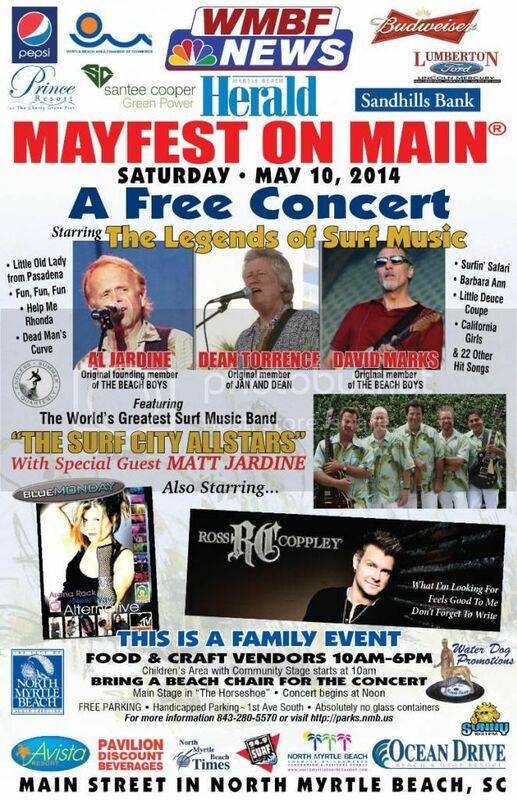 The annual Mayfest on Main festival will be held May 10, 10:00 a.m.-6:00 p.m., on Main Street in North Myrtle Beach. The popular festival offers two stages featuring live musical acts. The festival also offers street entertainers; arts, crafts and food vendors; a community stage; and a children's area. The annual Mayfest makes all people in the commonplace and thus i will help to each other in case of sharing and caring. They man write my essay so that the people reach in just in time.